over the past few years our “extreme” loss has taken it’s toll on me. while i know that living with an abundance of dogs opens you up to much more loss and it’s just a fact of life that knowledge does nothing to staunch the pain. while i’m intensely grateful for the dogs we have and the joy they bring to our life at times the loss is all i can feel. truthfully the last few years have made me feel like i’m backed up on grief…hell i still haven’t dealt completely with the loss of reilley and it feels like i’ve been numb to all we’ve lost since. losing carly and ronan seems to have taken the wind out of all our sails…our entire family is still blindly lurching around. when there’s such deep pain it’s hard to see and feel the moments like the joy captured in this photo as vividly as one should. i know every one of you who reads this blog has more than likely dealt with the loss of a pet and the perhaps unexpected feelings that come with the loss…the deep emptiness and loneliness. that knowledge helps - not because i want anyone else to feel the pain - but knowing you’re not alone is comforting in and of itself. knowing there are people that understand the importance and the depth of loss in the sea of people who incorrectly think it’s just your dog that died is medicinal. this blog has always served as a scrapbook of sorts for me. i use that tag cloud on the right over there all the time to relive someone’s memory, remember a date, or just remember the joy. i go back to the obituaries more often than i’d like to admit because sometimes i find it oddly comforting to remember the presence each dog had in my life. at some point i got confused about what would be interesting, after all dogs tend to do the same things over and over which is the antithesis of interesting and started posting only newsworthy items which narrowed the focus way too far. in an effort to move this blog from one of just beginnings and endings, which is unintentionally what it seems to have become, and to something i want to continue coming back to i’m going to make some slight changes. because there is not a piece of our life that our dogs don’t step in i’m going to branch this blog out a bit to encompass our lifestyle more. to say we live a dog-centric life would be putting it mildly…they literally play a part in every aspect and i’m hoping that opening up our life a bit more will prove to be entertaining. 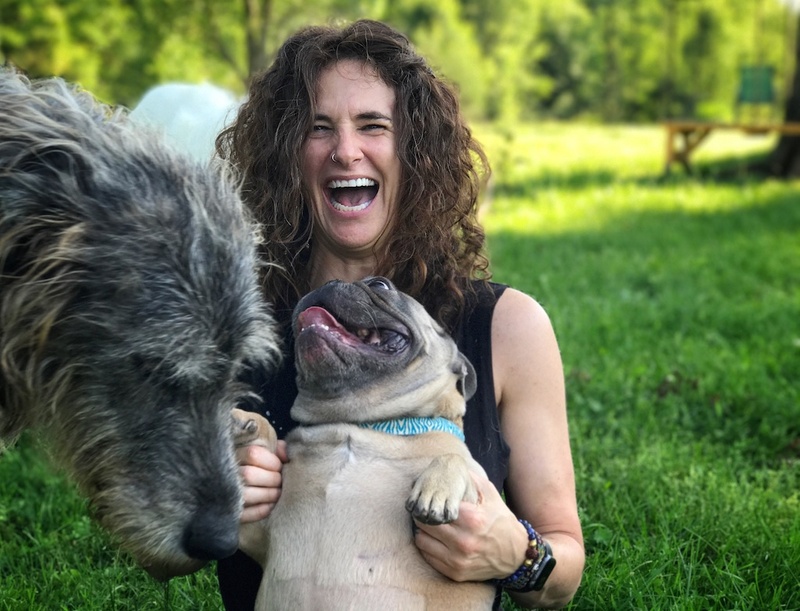 when i named this blog earthdoglife i really imagined it becoming a community, a place where people could love their dogs unabashedly, and i have faltered in creating that space. because of the state of the world today, the loss of too many dogs and just life in general i can say that this extreme introvert has likely folded too far inward and i’m going to try to push myself to share more. you all have or have had dogs, and i’m certain your dogs are as amazing as mine, so posting can sometimes feel self-aggrandizing. really that’s what a blog is though, right? somehow convincing yourself that you’re interesting…that’s a big point of contention in my brain. i’m going to challenge myself to work through that, after all how can this be a community if it doesn’t start somewhere? i know this format isn’t the easiest to comment on but i would love to hear from you…i’d love to see your blog links, your instagram handles, anything you want to share and maybe we can see a peaceful, generous, dog-loving community emerge. I love reading and seeing the everyday things your dogs do, I don't find it boring at all. You already know my Instagram, missginnygirl.?? I'm always either posting about my pets, my knitting, or my Professional Bohemian little people. I also go back and read about my beloved animals that have passed away. It comforts me to remember them, to remember the silly things, to remember how much I loved them and to see that when we posted about them that people cared. thanks for the kind words tonna. i have to say these digital platforms are great for memories.